Will electric aircraft ever ‘take off’? The development of electric aircraft is moving faster than ever, presenting both challenges and opportunities for airline operators. Undoubtedly, there are huge potential benefits. However, the technology is still some way off and aviation companies will need to fundamentally re-think their staffing strategy to accommodate predicted industry changes. Let’s take a closer look at the outlook for electric aircraft. Why is aviation moving towards electric aircraft? Save on fuel costs: Fuel is the single biggest cost for most airlines. With electric aircraft, airlines will only need to pay for charging capacity. In the automotive industry, electric engines have reduced fuel costs by more than two-thirds. Meet environmental targets: IATA has tasked airlines with reducing emissions by 1.5% per year to 2020, while the UN has set its own target. As well as being far more efficient, electric engines would enable new, more fuel-efficient aircraft designs. Reduce noise pollution: Noise pollution can be an issue for anyone living close to an airport, and it frequently delays aircraft-facility planning applications. Passengers, planners and local residents will all benefit from significantly quieter electric engines. Expand short-haul routes: With electric engine technology still in its infancy, initial models will most likely service short-haul routes only. Fortunately, this fits with the need to replace most single-aisle aircraft by 2036 and the trend towards establishing new routes worldwide. What are the key projects under development? Airbus: Having partnered with Siemens, Airbus is developing a 2MW hybrid electric aircraft that can match the range and passenger capacity of existing short-haul aircraft. Boeing: This year, Boeing purchased both Aurora Flight Sciences and Zunum Aero with a view to launching the first 50-100 seat electric aircraft with a range of 1,000 miles+ by 2030. EasyJet: The LCC announced its partnership with Wright Electric in September. Together, they’ve developed an electric aircraft prototype that could (theoretically) cover 20% of all EasyJet flights. The goal of Wright Electric is to make all short-haul flights electric within 20 years. Larry Page and Uber: Google’s founder and the ride-sharing platform are working separately on new low-altitude, small electric aircraft designs, often dubbed ‘flying cars’. How will this affect aviation staffing? 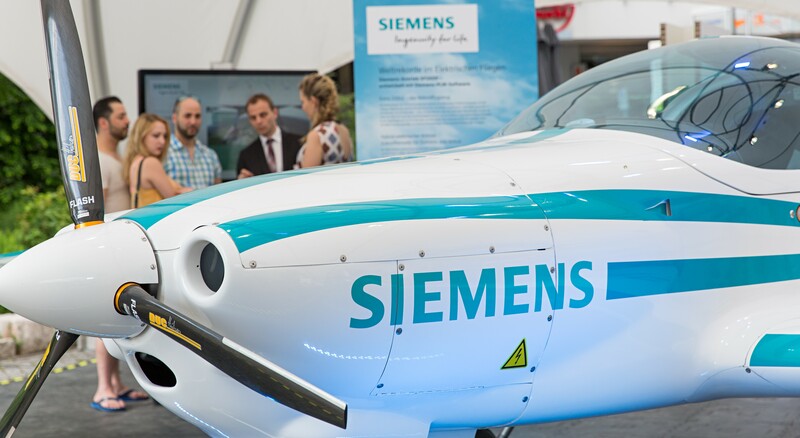 New skills are required to bring electric aircraft into the mainstream, many of which can be found in today’s developing electric automotive sector. We can’t know for sure if electric aircraft will be the future of aviation. However, the industry will continue developing at pace, and you will need staff with the right skills to keep up. Find the calibre of staff you need to step bravely into the next age of aviation by calling on the expert team at AeroProfessional.